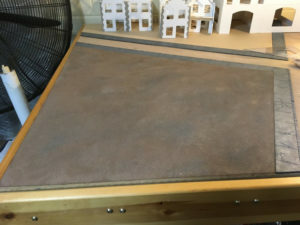 So we still have one big section of the board with nothing on it. 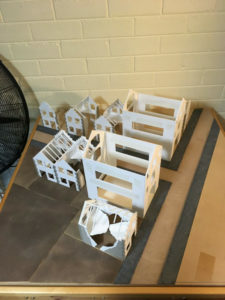 In the original plan I had intended to have a third warehouse and part of a small house. 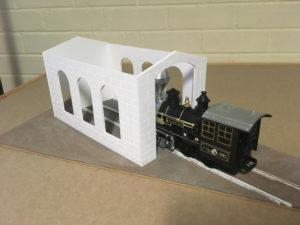 But to add a bit of variety I decided to deviate from the plan and built a small steam engine repair shop. 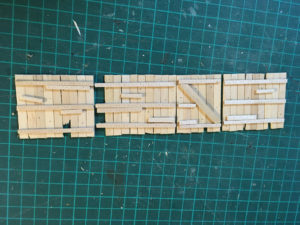 I had to make a slight change in direction in regards to the flooring. 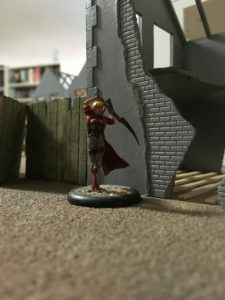 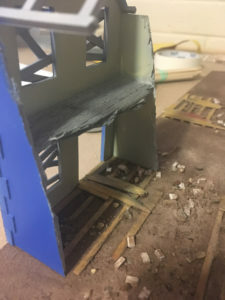 Originally I was just going to have the buildings free standing, but as they lack any real mass and the terrain is prone to being bumped by hands reaching for models they needed to be more solid. 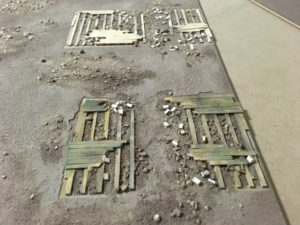 To facilitate this the bases have been magnetised and to give them more of a sense of ‘belonging’ a new sub floor has been added directly to the board. 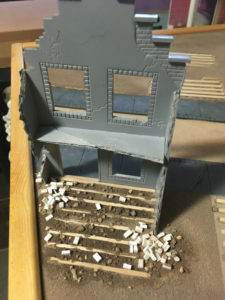 This will continue to have rubble and floor boards added to it. 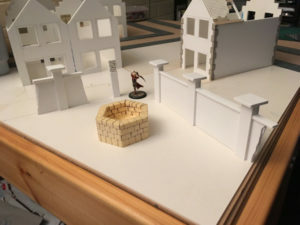 Suitably shadow figure luring in the alley ways. 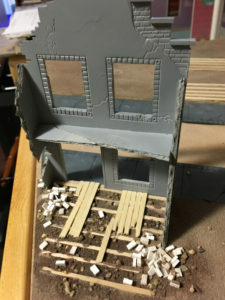 I decided to test how the ground floor rubble would look. 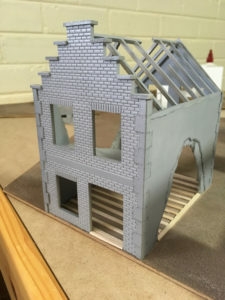 It still needs some floor boards on those joists, but it’s looking good. 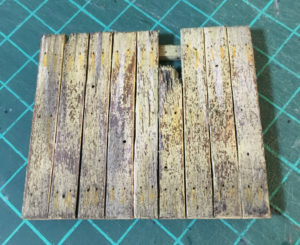 And finally we need to give all that fresh wood a coat of weathering. 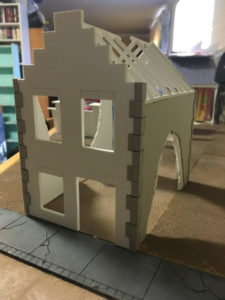 So now we go back to the warehouse and address the large windows. 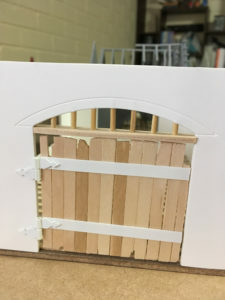 While experimenting with a few designs I came up with a window for the side of the ware house. 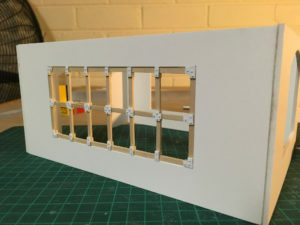 Despite the window being intact, this will probably get the ‘Quarantine treatment’ but for now it can enjoy being in one piece. 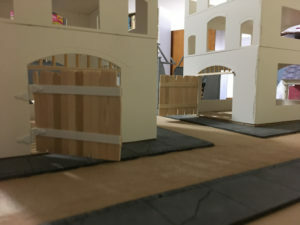 Next up the warehouses need some doors to keep all those pesky Guild Guards out. 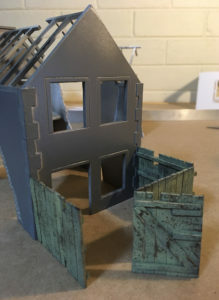 And now for a bit of paint. 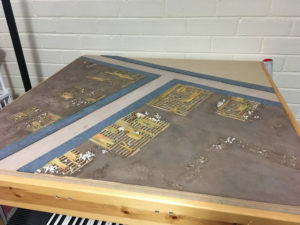 So after building the components and testing the layout I decided to take a slightly different direction for the board. 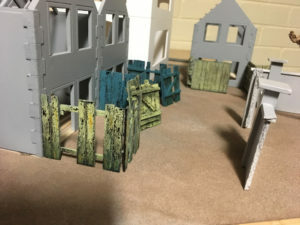 Rather than a clean cityscape I decided to move to a more derelict landscape. 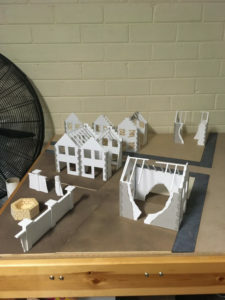 This means I get to undo all my hard work and break my models (in a good way of course). 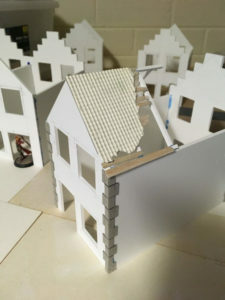 Next up is a test for the ruined roofing. 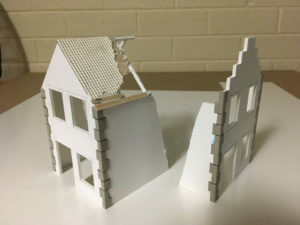 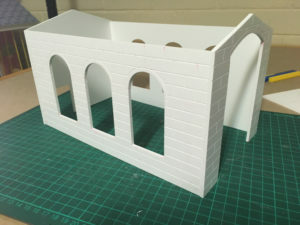 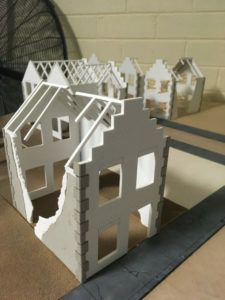 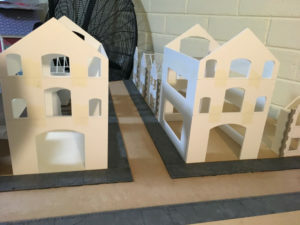 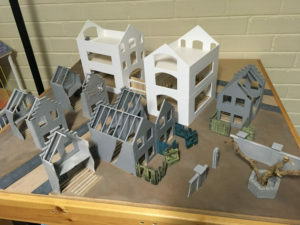 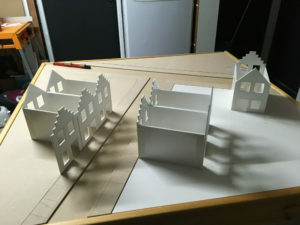 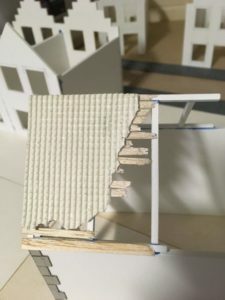 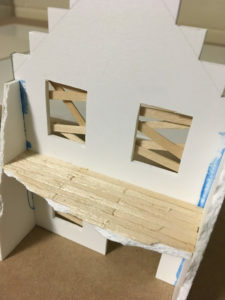 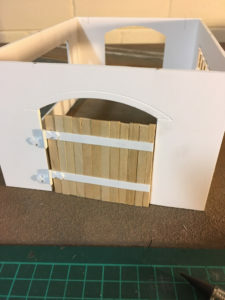 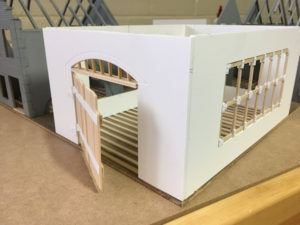 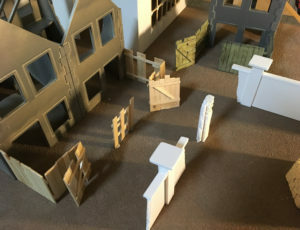 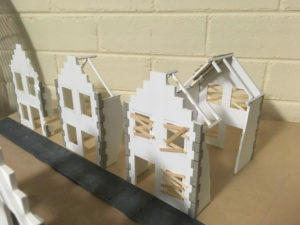 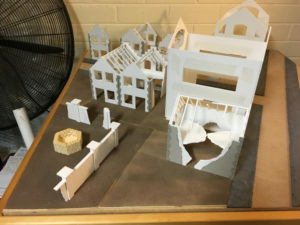 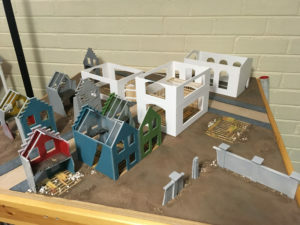 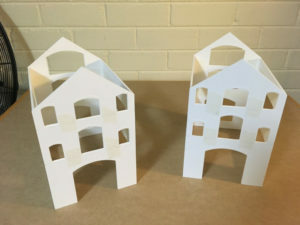 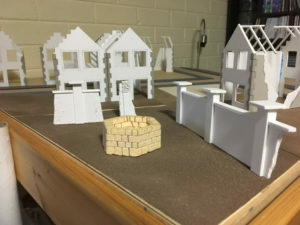 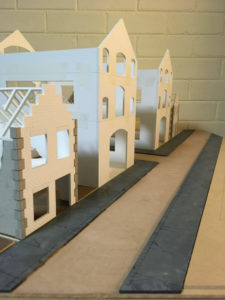 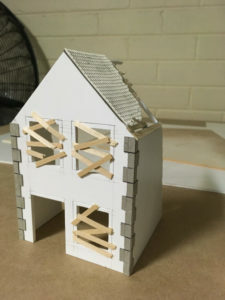 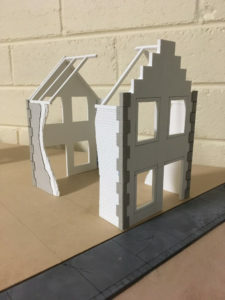 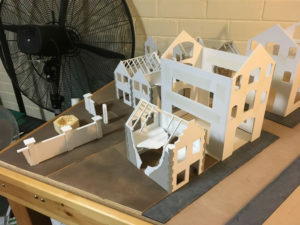 As this is the Quarantine zone, the majority of buildings would not be intact and habitable, so by adding partial roofs the models can enter and be moved around the interior of the building without the need to remove the roof. 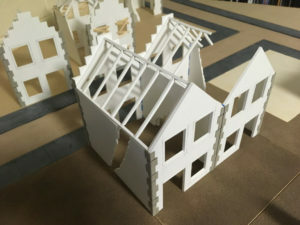 With a few buildings completed it’s time for a quick dry fit of the houses onto the street layout. 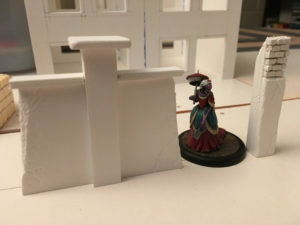 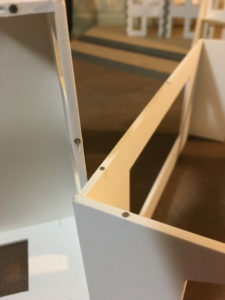 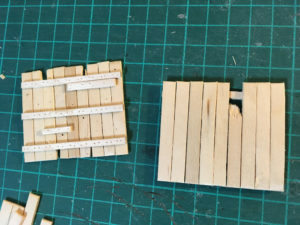 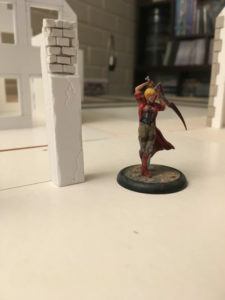 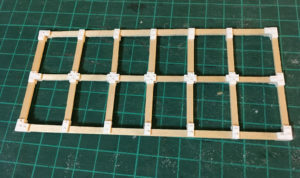 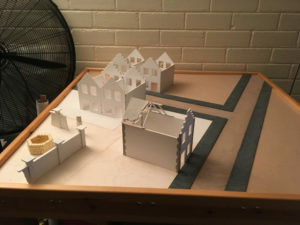 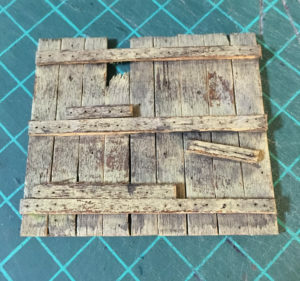 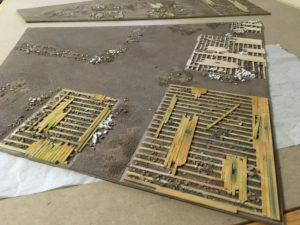 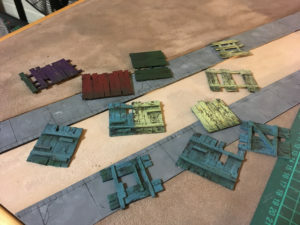 This is to ensure that there is enough room for models to move around the board and that there are sufficient cover and sightlines.